Chirag is an experienced Executive Loan Advisor professional, first-time home buyer coach, financial author, and social marketer. Chirag has his NMLS license (#378026) and is a Loan Originatorat The Turnkey Foundation, Inc. DBA Arbor Financial Group, a licensed real estate broker. Integrity is the cornerstone of Chirag’s business. As an Executive Loan Advisor, Chirag takes a consultative approach to the home loan process by customizing each transaction to help his customers achieve their dream home in the most efficient way. Any loan advisor can get you a loan, but he focuses on getting right loan that fits client’s financial lifestyle. He believes a mortgage should be about building relationships and helping his customers achieve their home financing goals and not just a business deal. With more than a decade of experience in the mortgage industry, Chirag has a unique perspective in matching borrowers with their dream homes, whether they are high net worth individuals or individuals with low-to-moderate income. 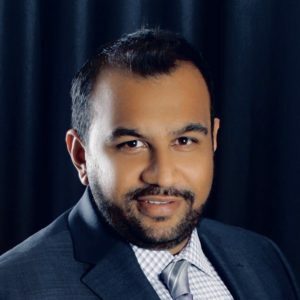 Chirag has extensive experience assisting first-time homebuyers but is also well-versed in working with seasoned investors and homeowners seeking to refinancing their existing mortgage. Call him today to get best loan that fits your financial lifestyle! !